Often developing from a cold or other respiratory infection, acute bronchitis is very common. Chronic bronchitis, a more serious condition, is a constant irritation or inflammation of the lining of the bronchial tubes, often due to smoking.Acute bronchitis usually improves within a few days without lasting effects, although you may continue to cough for weeks. 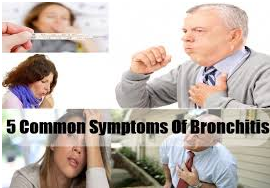 However, if you have repeated bouts of bronchitis, you may have chronic bronchitis, which requires medical attention. Chronic bronchitis is one of the conditions included in chronic obstructive pulmonary disease (COPD). During the first few days of illness, it can be difficult to distinguish the signs and symptoms of bronchitis from those of a common cold. During the physical exam, your doctor will use a stethoscope to listen closely to your lungs as you breathe. Chest X-ray. A chest X-ray can help determine if you have pneumonia or another condition that may explain your cough. This is especially important if you ever were or currently are a smoker. Sputum tests. Sputum is the mucus that you cough up from your lungs. It can be tested to see if you have whooping cough (pertussis) or other illnesses that could be helped by antibiotics. Sputum can also be tested for signs of allergies. Pulmonary function test. 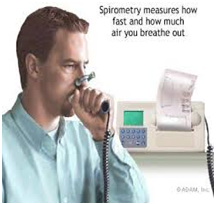 During a pulmonary function test, you blow into a device called a spirometer, which measures how much air your lungs can hold and how quickly you can get air out of your lungs. 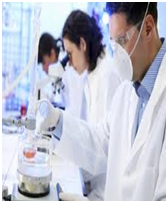 This test checks for signs of asthma or emphysema. 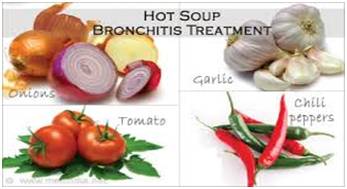 People suffering from bronchitis are usually instructed to rest, drink fluids, breath warm and moist air and take over-the-counter cough suppressants and pain relievers in order to manage symptoms and ease breathing. 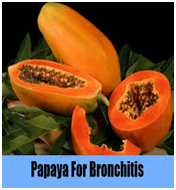 Many cases of acute bronchitis may go away without any specific treatment, but there is no cure for chronic bronchitis. Avoiding smoking is one of the best ways to treat bronchitis. Over-the-counter cough medicines should not be given to children under the age of six. 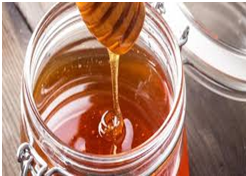 As an alternative to an over-the-counter cough medicine, try making your own mixture of honey and lemon, which can help soothe a sore throat and ease your cough. If you are prescribed antibiotics for bronchitis, it is likely to be a five-day course of amoxicillin, or doxycycline. Possible side effects of these medicines include nausea, vomiting and diarrhoea, but they are uncommon. Oxygen therapy - this provides the body with needed oxygen and improves your breathing. Pulmonary rehabilitation program - an exercise programme known as pulmonary rehabilitation can help you cope better with your symptoms. Breathing exercises - for example, pursed-lip breathing that helps to slow breathing down. 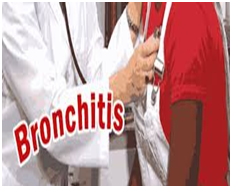 The bronchitis infection can be caused by either a virus or bacteria, although viral bronchitis is much more common. Viruses: In most cases, bronchitis is caused by the same viruses that cause the common cold or flu. The virus is contained in the millions of tiny droplets that come out of the nose and mouth when someone coughs or sneezes. 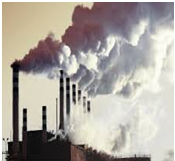 Bronchitis can also be triggered by breathing in irritant substances, such as smog, chemicals in household products or tobacco smoke. 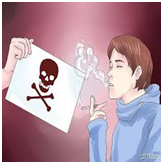 Smoking: It is the main cause of long-term (chronic) bronchitis, and it can affect people who inhale second-hand smoke, as well as smokers themselves. usually eases once you are no longer exposed to the irritant substance. Low resistance. This may result from another acute illness, such as a cold, or from a chronic condition that compromises your immune system. Older adults, infants and young children have greater vulnerability to infection. Gastric reflux. Repeated bouts of severe heartburn can irritate your throat and make you more prone to developing bronchitis. Although a single episode of bronchitis usually isn't cause for concern, it can lead to pneumonia in some people. Repeated bouts of bronchitis may indicate that you're developing chronic obstructive pulmonary disease (COPD). What Is the Best Way to Exercise with Bronchitis? Walking is a good way to exercise for those with bronchitis. Yoga allows for deep breathing, opening the passages to the lungs, and may benefit those with bronchitis. Exercising when unwell: Should you or shouldn't you? It really depends on what the illness is and the severity of the illness. Its acceptable to exercise if you have a sniffle, but anything worse than that, its probably best not to exercise. Certainly, exercising when you have a fever should be avoided. When you exercise, you raise your body's temperature. If you already have a high temperature and you raise it further, you can make yourself even more ill. In adults, a fever is considered to be anything above 38C (100.4F). What exercise can you do? If you are experiencing dizziness, avoid resistance exercising, such as weight lifting, because your coordination is likely to be poor. You're actually at risk of giving yourself an injury through poor movement patterns. It is strongly recommend that if you do any kind of resistance exercises, they have to be very low resistance, preferably just using your own body weight. So press ups, sit ups, leg raises, chin ups, etc., are in. Heavy weights are out. If you prefer to do aerobic exercises, you've got to keep the intensity quite low. Aerobic exercise can actually help at the start of a cold. It can open up the airways, improve mucus flow and generally make you feel better because your body releases endorphins [a neurotransmitter associated with pain relief and elevated moods. If you go for a long run, you put your immune system under stress and it can't effectively fight the infection. So if you do aerobic exercise, it has to be of a lesser intensity and not as long as what you'd normally do it. 1. Wet chest packs daily for 1 hour on empty stomach. 2. A hot Epsom-salt bath twice a week in the night. 3. Brisk walks and deep breathing, exercise as well as Yogic Asanas. Many people hold tension in their necks and shoulders, leading to stiffness, bad posture, and tension headaches. Yoga practice can ease tension, increase flexibility, and tone the muscles. This section covers the steps on how to practice Shoulder Lifts. If done properly, the Half Spinal Twist lengthens and strengthens the spine. It is also beneficial for your liver, kidneys, as well as adrenal glands. Practice this Yoga Pose under the supervision of a Yoga instructor. In this section, learn how to perform the Half Spinal Twist. The Corpse Yoga Pose is considered as a classic relaxation Yoga Pose and is practiced before or in between Asanas as well as a Final Relaxation. While it looks deceptively simple, it is actually difficult to perform. Learn more on how to do it with the help of this article. Anuloma Viloma is also called the Alternate Nostril Breathing Technique. In this Breathing Technique, you inhale through one nostril, retain the breath, and exhale through the other nostril. Learn how to do this technique for beginners by following the steps found in this article. There are three parts to proper relaxation - physical, mental and spiritual relaxation. Relaxation Yoga Pose relaxes your body and mind, and makes you feel refreshed after doing the asanas and the pranayamas. This is why it is an essential part of Yoga practice. The general lifestyle involved in Yoga serves as a good therapy for respiratory problems. A healthy diet can build your resistance against cold, allergies, and other environmental causes of Asthma, Bronchitis, and other chronic respiratory disorders. It also promotes a non-smoking lifestyle. According to Yoga philosophy, a calm mind produces regular breathing and a relaxed body. So, breathing exercises can definitely help people with Asthma and Bronchitis. A hot bath with Epsom salts can help to reduce congestion and the other accompanying symptoms of bronchitis. You can remain immersed in this bath for 20-30 minutes every night during the acute stages of a bronchitis attack. If you suffer from chronic bronchitis, you can indulge in this type of a hot bath twice a week to help reduce the severity of the symptoms. A warm moist hot towel can be used to cover the entire chest area to ease respiratory discomfort. If the weather permits, a relaxing walk along with outdoor exercises can accelerate the healing process. Avoid lung irritants. Don't smoke. Wear a mask when the air is polluted or if you're exposed to irritants, such as paint or household cleaners with strong fumes. Use a humidifier. Warm, moist air helps relieve coughs and loosens mucus in your airways. But be sure to clean the humidifier according to the manufacturer's recommendations to avoid the growth of bacteria and fungi in the water container. Consider a face mask outside. If cold air aggravates your cough and causes shortness of breath, put on a cold-air face mask before you go outside. If you have chronic bronchitis, you might want to experiment with different food choices to see if changes to your diet make any difference in your symptoms. As you do this, keep a careful record of how you are feeling. A healthy diet will help to strengthen the body's natural resistance. Adequate intakes of vitamins A and C as well as zinc are needed for the proper functioning of the immune system. Eucalyptus oil is particularly good for relieving congestion and clearing the head. Hyssop is also a decongestant and sandal wood is a relaxant that helps to ease muscular or nervous tension. To inhale, pour a few drops of each onto a paper towel, or add them to a bowl of hot (but not boiling) water using the following proportions: three of eucalyptus to two of hyssop and two of sandal wood.As a massage apply the oils in the ratio of 15:10:5. Other helpful oils include cajuput, niaouli and pine. The practice of Pranayama and Breathing exercises earliest in the morning can also gradually help reduce the severity of the situation. One can follow a complementary all-fruit diet along with one's bronchitis treatment. A glass of cool unsweetened fresh lemonade is a nourishing and refreshing drink as it is rich in Vitamin C which has a powerful antibiotic effect. 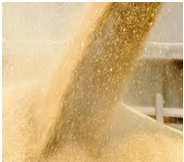 Processed food products such as tea, coffee, and sugar as well as pickles and condiments. Refined and processed foods: pastry and bakery products which contain sugar and white flour, ice-cream, candies, and soft drinks. Carrots, spinach, spring onions, leeks and cantaloupe melon provide plenty of beta carotene (the plant form of vitamin A), which is also known to help lung conditions. A combination of beet root juice, carrot and spinach juice, if consumed everyday can help. To shore up the immune system, drink this blend or other fresh juices several times a day. Oily fish are thought to have an anti-inflammatory effect in the lungs. Fish for one can help you see the end of the tunnel. The iodine in fish acts as sodium chloride mixed in water that you use for gargling, washing out traces of cough and phlegm from your system. Cayenne pepper can help you when you have bronchitis. Cayenne helps break up the congestion and may help you get quicker relief. Drinking chicken soup is an excellent way to break up congestion, and while we are talking about congestion, we must not forget that what may seem as simple cough congestion, can turn into some serious Bronchitis and even Asthma. 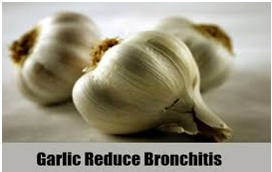 Another food you should eat when you have bronchitis is garlic, which has natural antiviral and antibacterial qualities. High intakes of fats and sugars should be avoided because they tend to displace more nourishing foods that contain the micronutrients needed to support the immune system. Too much alcohol or coffee will also inhibit the immune system since, to cleanse their toxins from the blood, the liver has to draw on extra micronutrients, thus depleting the body's reserves. Stay away from dairy products. They are mucus producing and may aggravate your condition. Three meals a day comprising of fresh juicy fruits to be consumed every 5 hours. The freshly squeezed juice from half a lime added to a glass of slightly warm water along with a little honey. A cup of fresh milk sweetened with honey and nuts along with fresh fruits. A glass of fresh fruit or vegetable juice. A bowl of fresh green vegetable salad, with lime juice dressing, sprouted seeds and homemade cottage cheese. A few dates soaked in milk. Certain foods can trigger allergic reactions and if they appear to aggravate the condition they should be avoided. This list of foods would include milk, eggs, chocolates, and wheat as well as certain foods like oranges, cabbages, potatoes, and tomatoes that only rarely cause an allergic reaction. The patient's diet should also contain manganese rich foods like nuts and beans, as well as leafy vegetables and garlic. Below is an IDEAL sample Diet Plan. Make sure to check the correct portion sizes for each food item. Talk to your doctor or dietician about any restrictions on fluid or water intake. Do not add extra SALT or SUGAR while cooking or as seasoning.